A compilation of our favourite moments from the Man Engine – the largest mechanical puppet ever constructed in Britain and powered by a Volvo L220G Wheeled Loader. 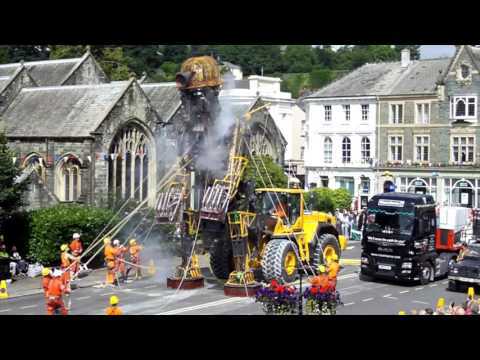 The Man Engine travelled through Cornwall starting his journey at Tavistock on 25 July 2016 and ending on 6 August at Geevor tin mine. Video uploaded on 28/10/2016 11:21am.